The 30-share index opened on a positive note at 38,452.47, but soon succumbed to heavy selling pressure, touching an intra-day low of 38,089.36. It finally closed at 38,164.61, down by 222.14 points, or 0.58 per cent. 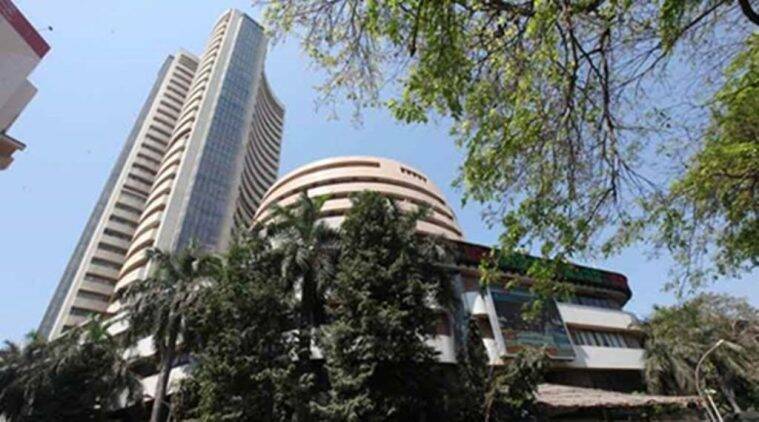 Snapping its eight-day winning streak, the BSE benchmark Sensex declined by over 222 points Friday to end at 38,164.61 as investors booked profits after Fitch Ratings cut India’s growth forecast. On similar lines, the NSE Nifty shed 64.15 points, or 0.56 per cent, to finish at 11,456.90. Fitch Ratings Friday cut India’s GDP growth forecast for the next fiscal to 6.8 per cent from 7 per cent estimated earlier on weaker than expected economic momentum. Tata Motors was the biggest loser in the Sensex pack, tumbling 2.47 per cent, followed by Reliance Industries (2.44 per cent), Maruti (1.84 per cent), SBI (1.76 per cent) and Bajaj Finance (1.23 per cent). NTPC emerged as the biggest gainer in the index, spurting 3.67 per cent.